Whenever the name Valerie Simpson has been invoked, it is often in concert with that of her late life partner and collaborator Nick Ashford. For 40 years, Ashford and Simpson wrote, produced and performed some of the most memorable love ballads ever recorded. As songwriters and producers, Nick and Val (as we’ve come to lovingly think of them) were the inspirational forces behind the great love songs sung by Marvin Gaye and Tammi Terrell in the late 1960s, like “Ain’t No Mountain High Enough”, “Ain’t Nothing Like the Real Thing”, “If This World Were Mine”, “Your Precious Love” and the stirring “You’re All I Need to Get By” -- songs that are now contributions to the great American songbook. In the mid-1970s Ashford and Simpson went on the establish themselves as one of the great acts of their generation by recording now classic recordings like “Send It”, “Love Don’t Make it Right”, “It Seems to Hang On”, “Street Corner” and of course their chart topping 1984 single “Solid”. 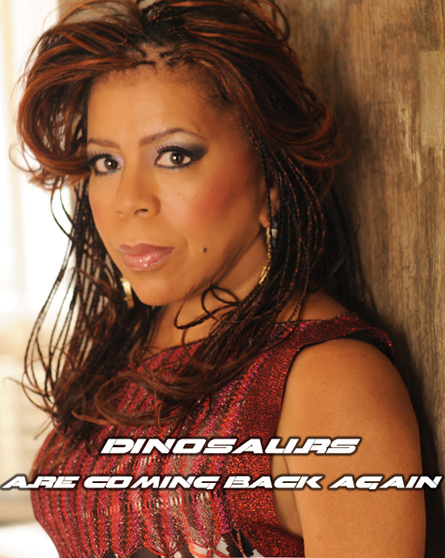 Before Ashford and Simpson established themselves as artists, the duo collaborated on two little known solo albums by Valerie Simpson. Exposed (1971) and Valerie Simpson (1972) represented the cutting edge of a generation of black women artists that harked back to great Blues Women of the 1920s like Bessie Smith, Mamie Smith, Ethel Waters and Ma Rainey, all women who used their music to speak forcefully about the realities of being black women. In the aftermath of Aretha Franklin’s great crossover success in the late 1960s, the recording industry was primed for the emergence of a new generation of black women musicians and singers. Thus artists such as Roberta Flack (First Take, 1969), Minnie Riperton (Come to My Garden, 1969), Labelle (Moonshadow, 1972) Betty Davis (Betty Davis, 1973), and Esther Phillips (From a Whisper to Scream, 1972) all released groundbreaking music that suggested that black women were artistic geniuses in their own right and didn’t need to be the “eye-candy” that fronted the grandiose musical schemes and corporate dreams of men. Perhaps because Motown, her label at the time, was conflicted as to how to market her or more likely didn’t have faith that her music was commercial enough, Valerie Simpson’s solo recordings didn’t garner as much attention as some of her more well known peers, though the single “Sinner Man” from Exposed was nominated for a Grammy Award in 1972. A native of the “Boogie-down” (Bronx, New York), Valerie Simpson came up “church” (she and Nick met at the White Rock Baptist Church in Harlem in 1964 when she was still a teenager) and like many black artists from that era, she had no choice but to musically reference the spiritual power she was exposed to sitting in those pews as a child. Though many will cite Mahalia Jackson’s appearance at the Newport Jazz Festival in 1958 or Sister Rosetta Tharpe's forays into Jazz clubs, it was really with the huge popularity of Aretha Franklin that the black gospel tradition became accessible to mainstream audiences. Thus many secular artists from that era—Donny Hathaway being the most pronounced—were comfortable making that tradition an integral part of their music. Simpson’s “church’ upbringing is written all over her debut Exposed particularly on tracks like “I Don’t Need No Help” which Simpson sings a capella for the first two minutes with a hint of hand-clapping and foot stomping in the background and the explicit “There is a God”. Sister Val is straight “testifyin’” at the beginning of “Can’t It Wait Until Tomorrow” (a song initially written for Diana Ross’ firstsolo album), and it was hard to believe that Natalie Cole didn’t have the song in mind when she takes to the pulpit on her classic “I’m Catching Hell (Living Here Alone)” (1975). With the exception of “Sinner Man”, a driving funk number, much of the rest of Exposed falls firmly in the tradition of the sweet Soul that Ashford and Simpson were known for producing. Tracks like “Love Woke Me Up this Morning” (originally recorded by Marvin and Tammi and later by The Temptations), “Now That There’s You”, and the oh so sweet “Silly Wasn’t I” are clear evidence of the duo’s maturing musical sensibilities and Simpson’s increased confidence as a vocalist (As Tammi Terrell’s illness made it too difficult complete her vocals towards the end of her short life, Simpson’s vocals were purportedly mixed with Terrell’s on some of the later Marvin and Tammi recordings). Another one of the gems on Exposed is the moody and plaintive “World without Sunlight”. Simpson’s self-titled follow-up to Exposed, was just as provocative as her debut. Unlike Exposed, the lyrics on Valerie Simpson are a little more socially conscious. Thus on a song like “One More Baby Child Born” Simpson’s sing of both the possibilities and dangers of black children who are born in the “ghetto” (“he may grow up to be your president, but then again you might find him stuck in the ghetto cement”) and the anguish that black mothers may experience wishing a better world for their children (“him mama look down on him with a tender smile/she just want to hold him and keep him safe/cause he’ll only be a baby for a little while.” Written at the early stages of the post-Civil Rights era, when songs like Nina Simone’s “Young, Gifted and Black” struck a particular chord of hope, “One More Baby Child Born” is a stark reminder that some folk were not gonna get out. Valerie Simpson (1972) was one of the last project Ashford and Simpson did for Motown before breaking out on their own with Gimmie Something Real in 1973. Though act got off to a slow start with their new label Warner Brothers, by the time they settled at Capitol they were bankable stars by the end of the decade and in demand also as producers, notably behind the boards on Diana Ross' The Boss (1979).